Coolstar has finally released its iOS 11.4.1 jailbreak. Although theirs is not the first jailbreak tool for that version of iOS, anyone who prefers the Electra tools over those from other developers will be pleased to hear the news. Since we have yet to see a publicly-available jailbreak for iOS 12, this should be the newest version for those wanting to free their device from Apple’s rules. 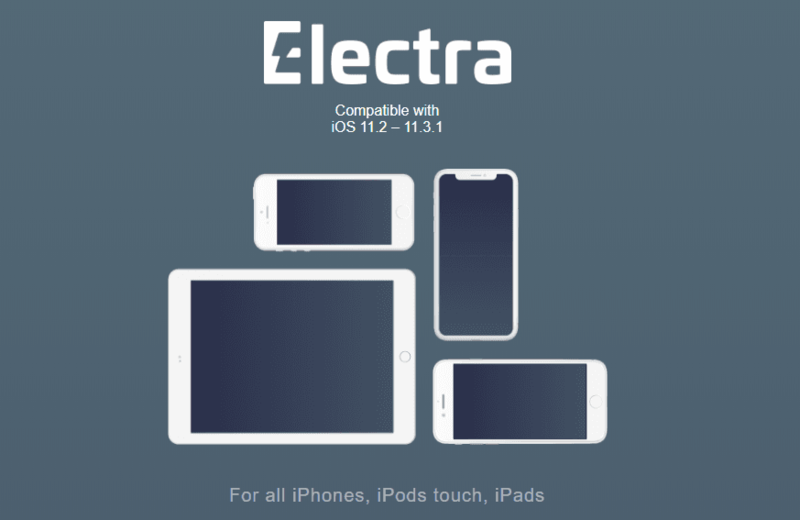 As of the time of this writing, the newest version of Coolstar’s jailbreak tool is Electra 1.2.3, and it’s compatible with iOS 11.0 through iOS 11.4.1. Electra 1.2.0 was the first version of the tool to support iOS 11.4.1, but early adopters quickly found out that it was causing random crashes for many who tried to use it. threadm1ll has been replaced with v1ntex so A7 & A8 devices now jailbreak properly on 11.2 – 11.4.1! Also fixes an issue where the initial respring could sometimes fail. The first Electra IPA was released publicly in July 2018 and was the first jailbreak to support iOS 11 through 11.3.1. After that release, Pwn20wnd released its unc0ver jailbreak, which seemed to be more stable than Electra at the time and also brought with it official versions of Cydia and Substrate. However, Redmond Pie states that Electra enjoys a “core following,” so many will be pleased to hear about Electra’s iOS 11.4.1 jailbreak being released. It’s also good news because Electra’s jailbreak tool no longer requires users to have an Apple developer account in order to use it. Additionally, the Electra team said on Twitter that their new tool makes the vfs exploit redundant and instead employs the newer voucher_swap exploit. According to Redmond Pie, Electra 1.2.1 had a more-than-90% jailbreak success rate, so it was clearly a great improvement on previous versions of the tool. At this point it’s unclear if the newer version of the Electra tool has an even greater success rate, but there is certainly a possibility. The Electra iOS 11.4.1 jailbreak tool can be downloaded here. As with all jailbreak tools, it’s a good idea to keep a backup of your device because sometimes the results aren’t exactly successful. At this point there is no publicly-available jailbreak for iOS 12, although developer Luca Todesco and Team Pangu said they achieved it toward the end of last year. Thus, we can expect that developers are working a public iOS 12 jailbreak.